Water and flood damage to your home can be devastating, but it is important to fix the damage quickly to restore your home. Residential water and flood damage can cause serious health issues, and restoring your home after the damage can prevent mold growth which will reduce allergens and other health concerns. It is also essential to repair water damage to maintain the investment in your home. Fixing the issue quickly will end up saving you time and energy in the long run since you can avoid more extensive repairs. 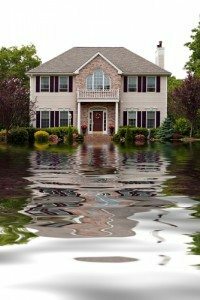 You need to rely on experienced and professional technicians when it comes to the safety of your home after water and flood damage. This is not a do-it-yourself job. Water damage technicians undergo specialized training to properly repair homes after water has caused damage. The water and flood damage technicians use equipment and cleaning methods that are safe and superior. Contact us today to learn more about the special equipment and cleaning solutions that we offer, and we are sure you will find that we are the best. Turn to our experienced technicians for the best customer service for help when you need to fix your home that has experienced water or flood damage. We will determine the extent of the damage and recommend the most effective plan to fix your home home back to a safe and healthy environment.